Its a brisk 39 degrees this morning with a northwest wind blowing about 17mph. 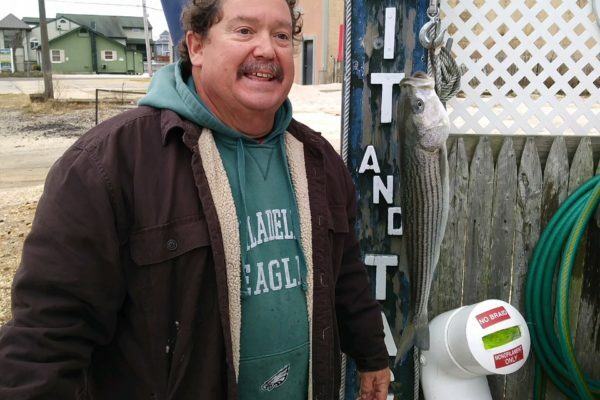 No fish weighed in yesterday which means the $250 prize for the Classic is still up for grabs. Shorts still being caught off the beach. 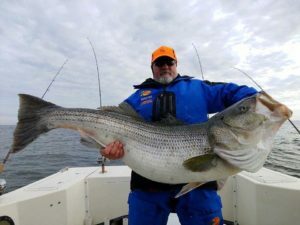 In Virginia off a boat, there was a 52lb 10oz striper caught – the picture is definitely worth seeing!